That’s not to say that the team is made up of identical people. Haley’s team members have a range of leadership styles, from extraverted to introverted, and a variety of backgrounds, from financial to technical. The common thread, though, is that every team member wants to achieve more for the company, Hayley says. Those polished teamwork skills were put to the test in July, when Hayley was named to the integration team that oversaw Aon’s acquisition of human resources firm Hewitt Associates in a $4.9 billion deal. After she was named CEO of Aon Hewitt Consulting, Americas, Hayley looked to create similar dynamics on her new leadership team. Prior to joining Aon, Hayley spent 21 years with Deloitte Consulting, where she served as the Midwest regional managing director and helped grow Deloitte’s operations in India. 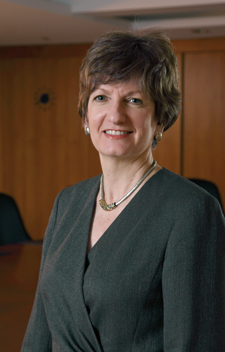 She also led the firm’s financial services practices in the Americas. Through the years, Hayley has acquired extensive experience building teams that devise unique solutions to complex issues. Her teams’ successes range from developing clearing and trading systems for exchanges that are still in use 20 years after implementation, to replacing all the systems for a Fortune 250 firm in one day. That approach has paid dividends. Over the course of her tenure as CEO of Aon Consulting, the company’s pre-tax income grew an average of 19 percent per year over the last five years, and the firm has had the highest margins in the industry. Hayley predicts that dynamic teams will be critical to Aon Hewitt’s continued success as the largest human resources and human capital consulting firm in the world.